Apple's new smartphone may be closer than you think. Apple just introduced two new iPhone 5 models - the casual-friendly iPhone 5c and the ultra-savvy iPhone 5s - but come on, we know it's just a matter of time before the next model arrives. In this case, the iPhone 6 could be months away from its official unveiling, ready to usher in a whole new generation of handheld gaming, communication and high-tech goodness. What can we expect from this new device? More fancy thumb-reading technology? A bigger, better screen? Unprecedented connectivity? Apple is quiet for now, but we scoured the Internet for the juiciest rumors on this highly anticipated smartphone. While the iPhone models are great pieces of technology, they do have a weakness that some users can't overlook - the lack of substantial battery life. iPhone 4 and 5 owners in particular are subject to a dwindling battery, forcing them to scramble for the nearest wall socket to keep everything alive. With the iPhone 6, it's rumored that a new special solar layer system, modified around sapphire screens, could introduce a longer battery life. This would be huge for people on the go, posting to their social networks or insisting they get through a round of Flappy Bird with at least 20 points. Word has it that Apple already signed on with GT Advanced to create the technology, in a deal possibly worth $578 million. There's no word how this would change the display itself, but you can probably expect something of similar quality to what we have now. Maybe even better. Like any good operating system - like iOS 7, which thundered onto the scene last year - there's always room for improvement. With that, Apple will probably introduce an all-new system with the iPhone 6, one with even more customization options, a refined menu and more ways to speedily get to where you want to go, whether it's games, maps or your huge playlist. The cameras included with the iPhone models aren't bad, but there's always room for something better - and that's what we're likely to get with the iPhone 6. Rumor has it that the new device will receive an upgrade to approximately 13-megapixels, the biggest for an Apple device to date. New options could also be introduced, including expansive recording options and picture refinements. No more red eyes, people. With the newer iPhone and iPad models, Apple took a big step up in memory by offering 128 GB storage in some devices. That's a whole lot of movies, music and TV shows, as well as games. Expect this to be a default option with the iPhone 6, though lower memory models will be available for consumers on a lighter budget. 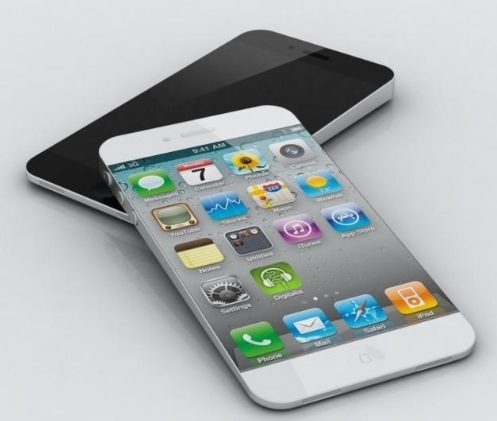 The iPhone 6 should be slimmer than the iPhone 5. While that's a whole lot of technology to cram into such a small frame, if anyone can do it, it's Apple. In fact, some might even consider this the iPhone Air, with a tiny 6mm thickness. The weight shouldn't be that bad either, making it more compact than ever before. Finally, although the iPhone 5 has a beautiful four-inch display, the iPhone 6 could have an even bigger one, clocking in at five inches. How would Apple be able to fit that on the device? Simple - by removing the Home button, and instead make it an option on the touchscreen itself. That would be an unprecedented move, especially to those who are used to said Home button. Still, it'd be a step up in touch-screen interactivity. One thing's for sure - we won't have to wait too long to find out about iPhone 6, with rumblings of a summer release. Be sure to check back with Modojo for all the details.